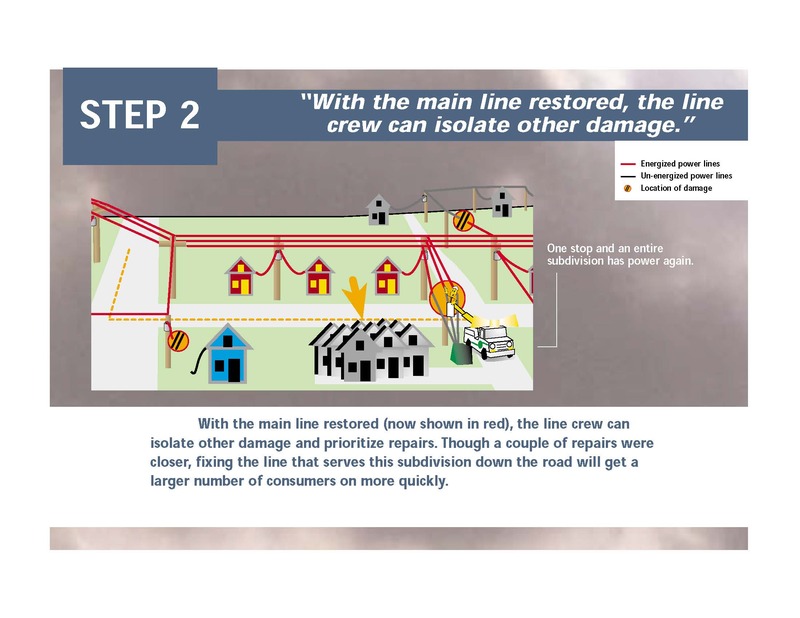 We have come to expect that if we lose electric service, it will be restored within a few hours at most. 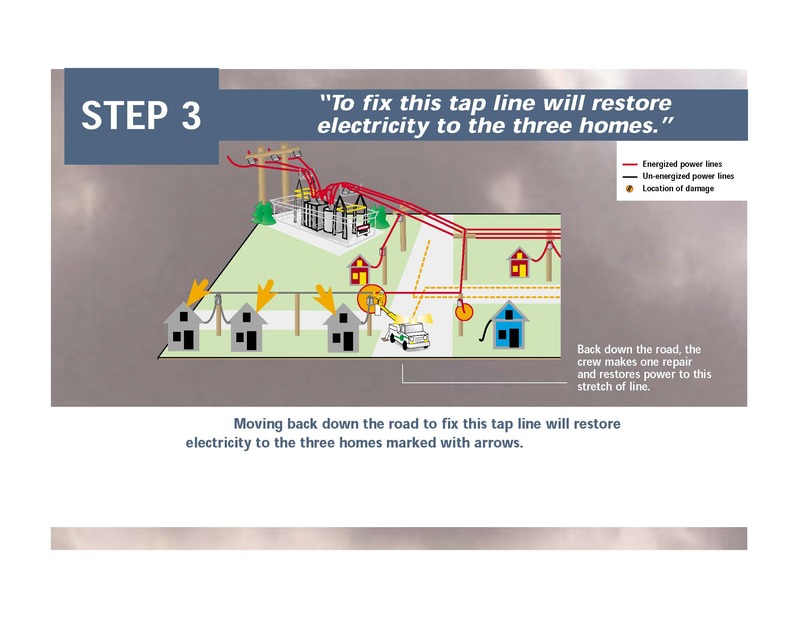 But when a devastating event, like a tornado or high wind speeds, ice or snowstorm causes major damage to Grundy Electric Cooperative's system, longer outages cannot be helped. 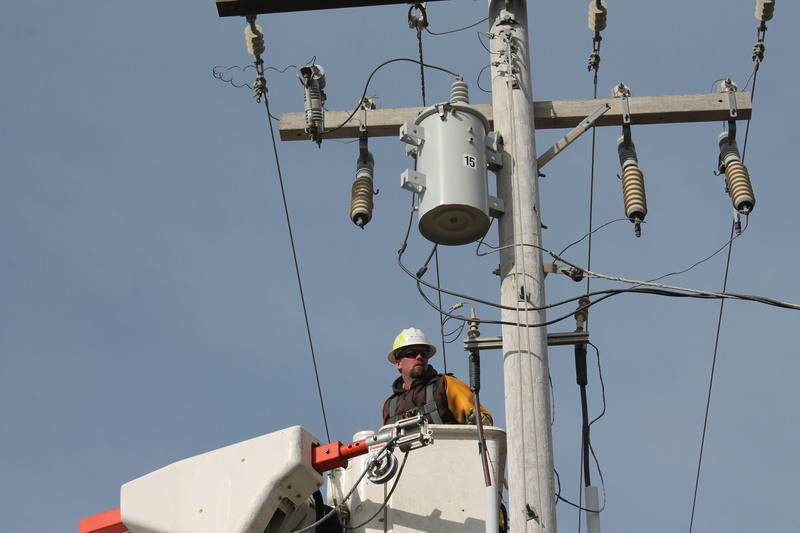 Crews work long, hard hours restoring service, but it's a task that needs to be done methodically to be done safely. 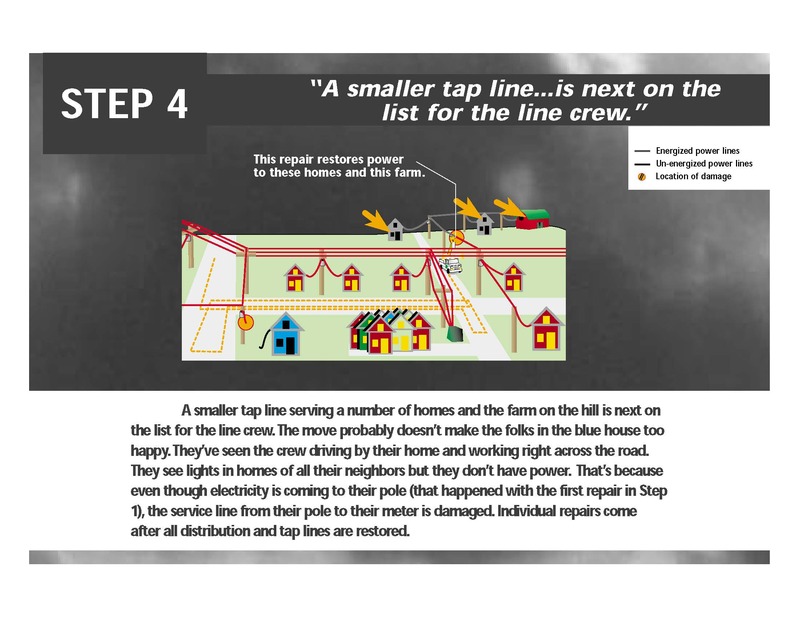 Every electric cooperative follows a basic principle when it comes to restoring power. 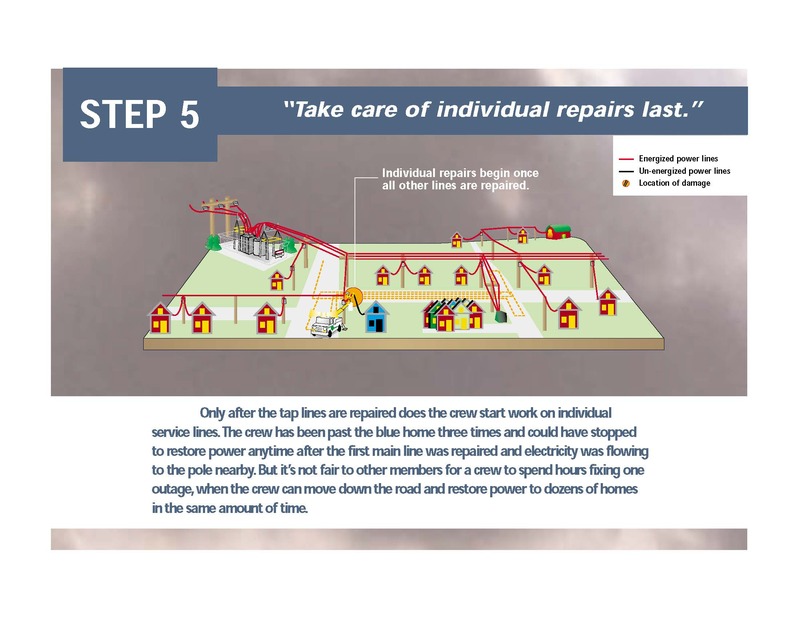 Priority goes to the lines that will get the most people back in service the quickest. 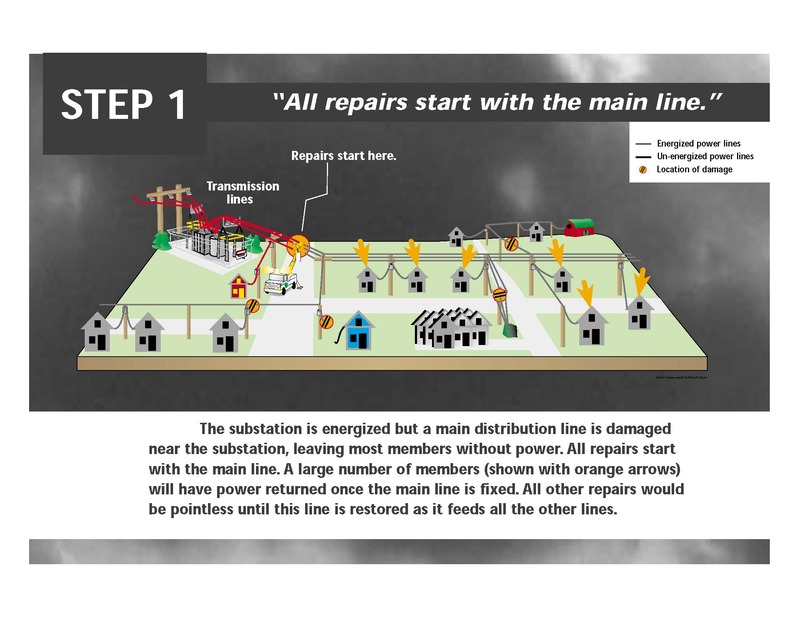 This usually begins with main lines from the substations that can affect 200-600 members and continues out to tap lines, which may affect 30-200 members, and then to individual service lines affecting just 1-5 members.